​ If you are traveling in Northeast Florida on Interstate 10 then this is your information source. Check this site for updates on all Current and Future construction projects as well as up-to-date Travel Alerts and Photo Galleries of progress.  This site is provided by the Florida Department of Transportation, District 2, Public Information Office.